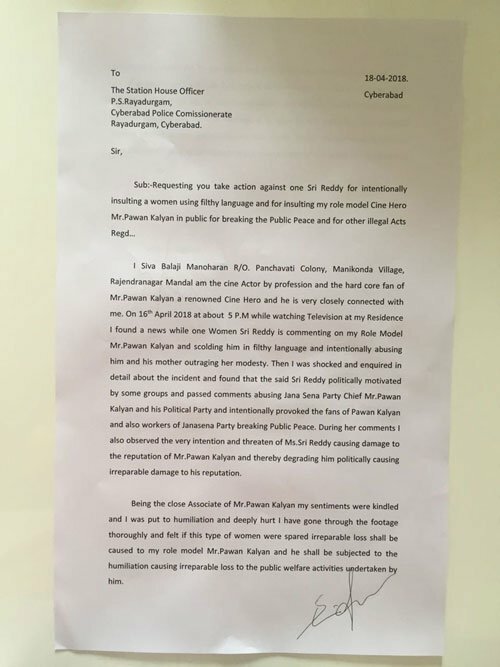 Bigg Boss Season 1 winner – Siva Balaji lodged a police complaint against Sri Reddy who made shocking personal abuse against Pawan Kalyan. 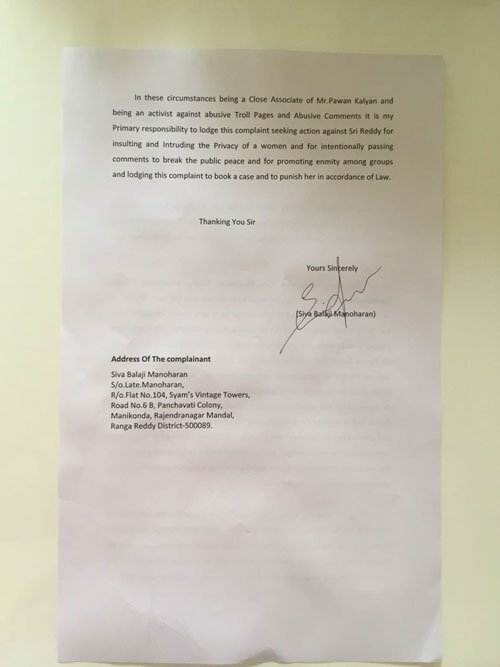 Even though many from the Telugu film industry and socialities condemned Sri Reddy’s abuse on Pawan’s family, no one filed a case against Sri Reddy. However, Siva Balaji happens to be the first actor from the Tollywood to file police complaint pertaining to Pawan Kalyan-Sri Reddy episode. He filed a case at Raydurgam station today. It all had started when Pawan Kalyan responded to media’s question about Sri Reddy’s alleged casting couch issue and suggested her to move legally by complaining to police. On otherhand, another case was filed at Mummidivaram PS of East Godavari district by mega fans. Siva Balaji’s Wife Rejects Bigg Boss 2 Offer?